Gerald "Gus" C. Garverick age 81, resident of Shelby died Monday, September 3, 2018 after a brief illness at Riverside Methodist Hospital in Columbus. Born January 11, 1937 in Cleveland, OH to Beryl and Ruth (Perkins) Garverick, he had been a Shelby resident since 1958. Gus was a graduate of Fredericktown High School and had served in the United States Navy Reserve. He began his career as a tool and die apprentice with General Motors in Ontario and retired as general supervisor after 40 years of service. While serving with the U.S. Naval Reserve, Gus began his passion for flying and later attained his private pilot’s license. Gus impacted many young men’s lives as he thoroughly enjoyed the 12 years he spent as a Boy Scout leader for troop # 403. He was a member of the First United Methodist Church in Shelby, The Guy's Club and The Wooden Boat Club in Lakeside, OH. He was a Junior Achievement sponsor. 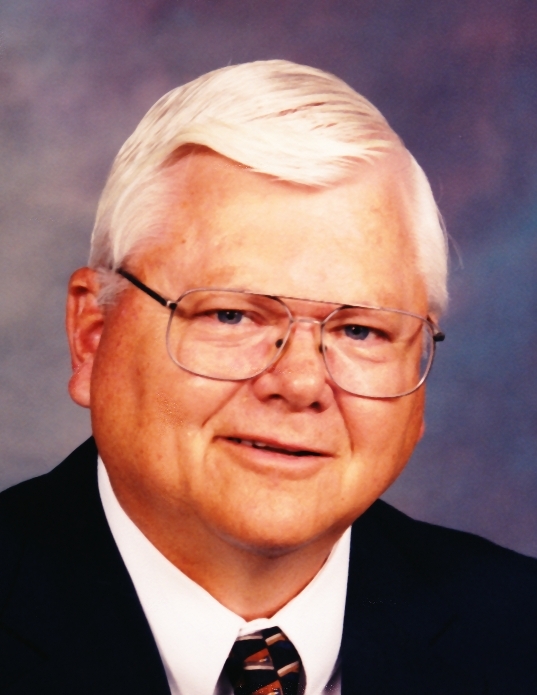 He served on the City of Shelby Building and Grounds Commission for many years. In his retired years, he enjoyed woodworking where he made each of his grandkids cradles. Riding with his friends in the “Mild Hogs” motorcycle club provided many laughs. He also volunteered with the Shelby Helpline Ministries. Next to watching his grandkids events he was an avid Whippet, Buckeye and Indians fan. Above all Gus loved his family and cherished the time he spent with them. Gus is survived by his loving wife of 61 years, Joan (Wilson) Garverick; children Joy (Alan) Ross of Shelby, Scott (Heidi) Garverick of Westerville, OH; four grandchildren Kevin Ross (Tara) (one great granddaughter, Noli), Laura Ross (Brian), Cale (Krista) Garverick and Sydney Garverick; nieces, nephews and other relatives. In addition to his parents, he was preceded in death by his sister Beverly Compton and infant son Kip. Friends may call at the Barkdull Funeral Home & Crematory in Shelby, Friday September 7, 2018 from 4:00 - 7:00 PM. A funeral service will be held Saturday 11:00 AM at the First United Methodist Church. Reverend JR Harvey will officiate with interment held in Oakland Cemetery. Memorial contributions may be made to the First United Methodist Church at 18 S. Gamble St, Shelby, OH 44875 or the Shelby Help Line Ministries at 29 1/2 Walnut St, Shelby, OH 44875.